These would be such a fun favor! 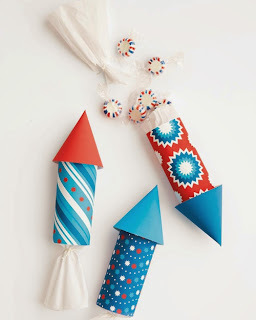 These " fireworks " can be found over at Martha Stewart at the link. 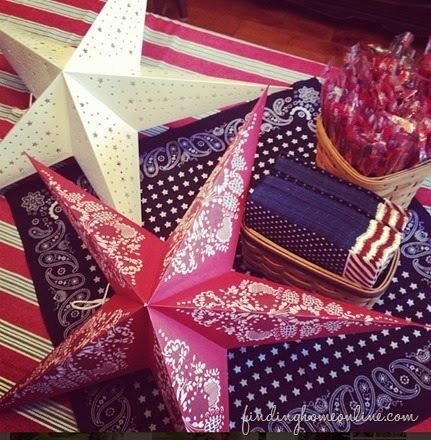 I love the bandana look of these stars. I found these over at Finding Home Online. 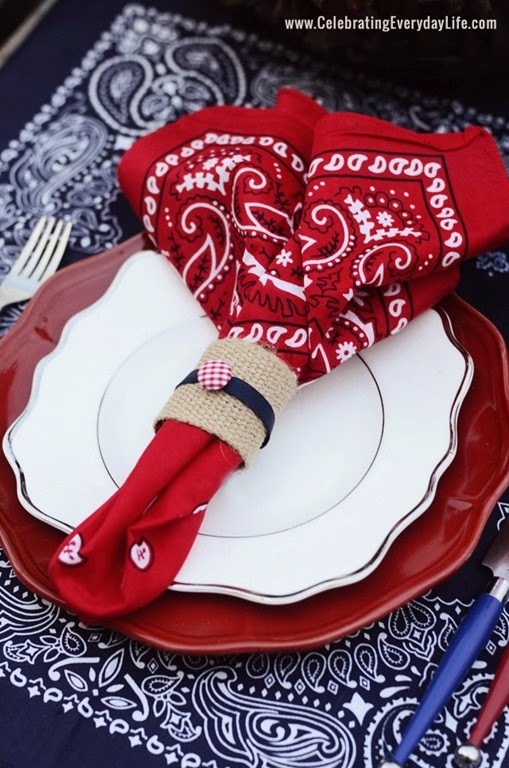 I thought this place setting is adorable. I found it over at Uncommon Designs.